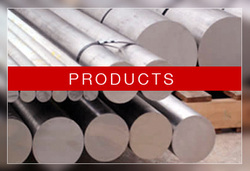 Titanium Engineers is a leading manufacturer/processor of titanium bar, titanium seamless tube, and titanium finished components for oilfield, marine, autosports, and other industrial markets. The company has facilities in North America and Europe to serve its global customer base. Our capabilities include the expertise to process titanium to meet demanding and unique customer specifications. With our metallurgical background we will support your team from design, through prototyping, and finally into full scale production of components. Manufacturer of titanium bar, seamless titanium tube, and titanium components made from titanium Beta-C, Ti 6246 (6-2-4-6), and Ti 6Al-4V serving the oilfield and other industries since 1988. The company began as a manufacturer of seamless titanium tubing, but has grown to include other alloys produced as both tubular and machined components. We are strategically located in the Houston, Texas in the USA, Birmingham, England in the UK; and Stavanger, Norway to service our customer’s needs. 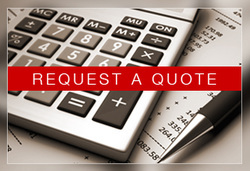 Contact us today to receive a quotation. Seamless Tubing: Titanium Engineers produces seamless titanium tube using the Rotary Piercing process. High quality product to demanding specifications. Machining: Precision machining of high strength titanium and other high alloys can be challenging. Our firm has over 25 years experience manufacturing oilfield tools and close tolerance components for a variety of applications. 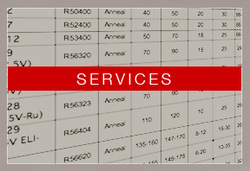 Inventory: We inventory many common round bar sizes and material grades including: titanium Grade 5, Ti 6246 and Beta-C (Beta C). Also some Stainless and Superduplex alloys. Typical Inventoried Diameters: .50" to 13.25"
Stocking programs and pre-positioned material for critical delivery requirements can be arranged.